George Skey & Co - A site for the history of Belgrave & surrounding areas in Tamworth, England. Skey's candlestick holders and Greek syle urns. Wilnecote Works was founded in 1860 by George Skey & Co and became notable for its products throughout the country. 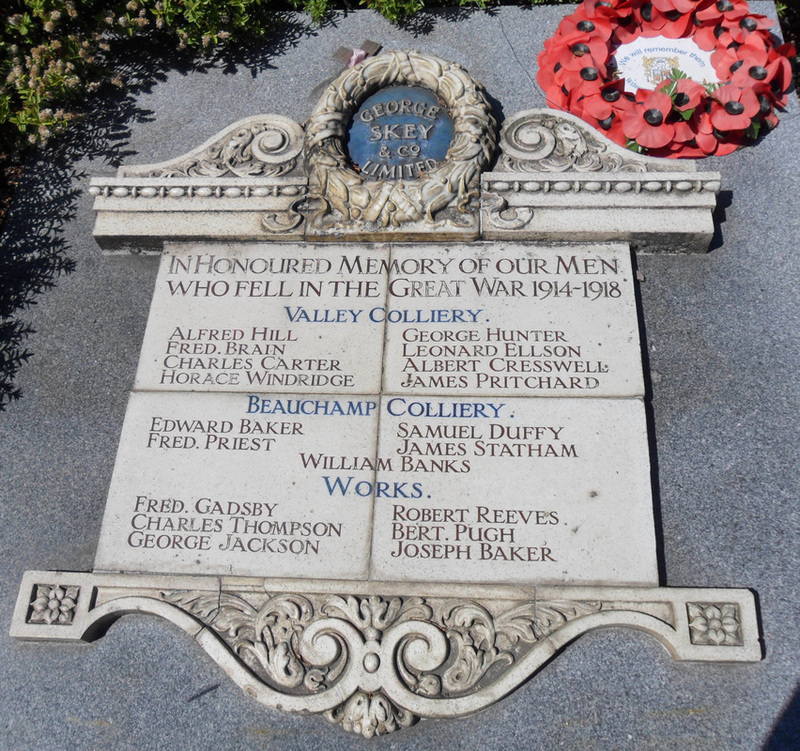 The Works started when George Skey first took over the coal mine in the area and found seams of fire clay. 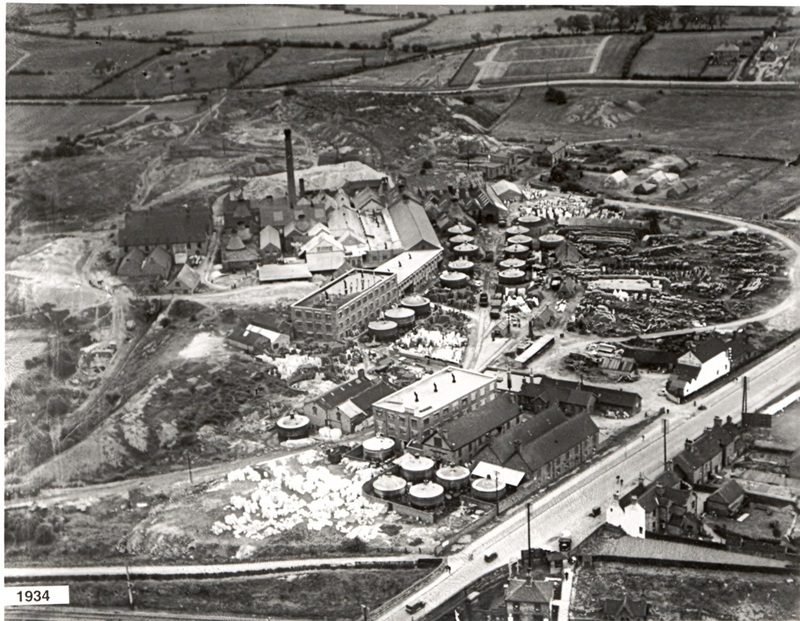 Wilnecote Works produced everything from gas stoves to ginger beer bottles. These were exported around the world and some artefacts were recently returned to Tamworth from Belgium. Read more in the Tamworth Herald. 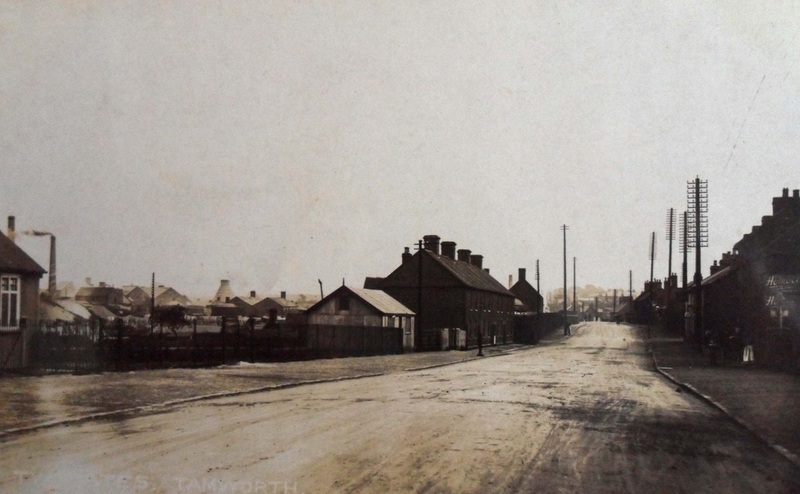 The company rapidly expanded and by 1864 they were producing 300 tons of coal and an equal amount of clay every week. The top picture shows the extent of the works in 1934 with the A5 Watling Street in the bottom right hand corner. 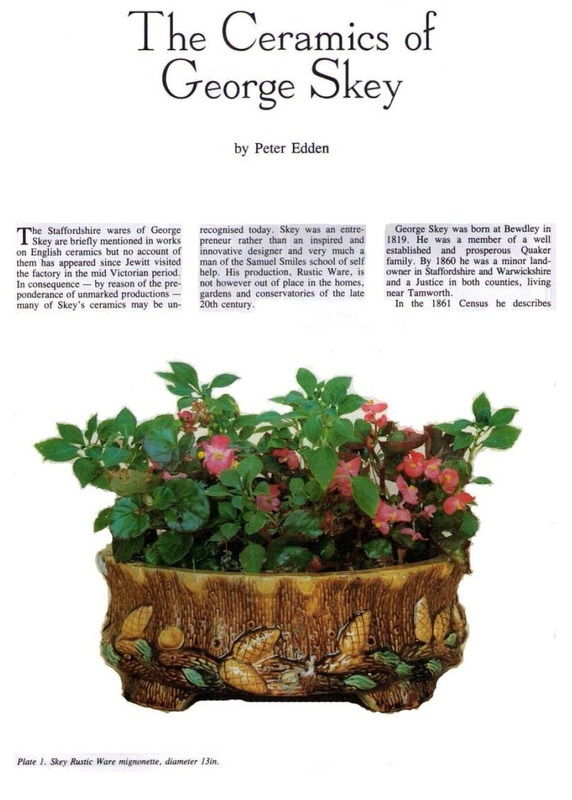 Click on the picture to view a magazine article on "The Ceramics of George Skey" taken from Antique Collecting Vol 26 No 24 September 1991. The picture on the left is the George Skey war memorial that can be seen at the entrance to Morrisons car park. Do you know where it was situated originally?